Exuviance®, a brand with a legacy of developing scientifically-advanced products to visibly transform skin, proudly introduces Exuviance HA100 Micro-Filler Regimen, an overnight beauty breakthrough. 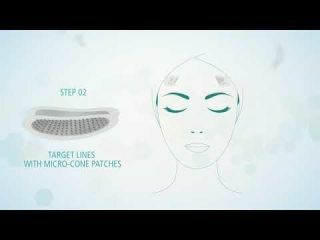 This proven 2-step beauty regimen features innovative NEW Micro-Cone Patches that deliver 100% pure Hyaluronic Acid, targeting lines and wrinkles while you sleep. Inspired by a med spa treatment, the regimen offers an advanced non-invasive option to target expression lines.